Successful businesses must use the most advanced technology to reach their customers. One of the hottest trends is Wireless Fidelity or WiFi Marketing. In this post we will discuss how this marketing technology can be beneficial to both consumers and merchants. Nowadays, many people cannot live without the World Wide Web. They talk, think, and shop online. So, it makes since that the stores who are providing free online services can become invaluable to customers. Think about how television, radio, YouTube, and WiFi provide you with free content, information, and entertainment. 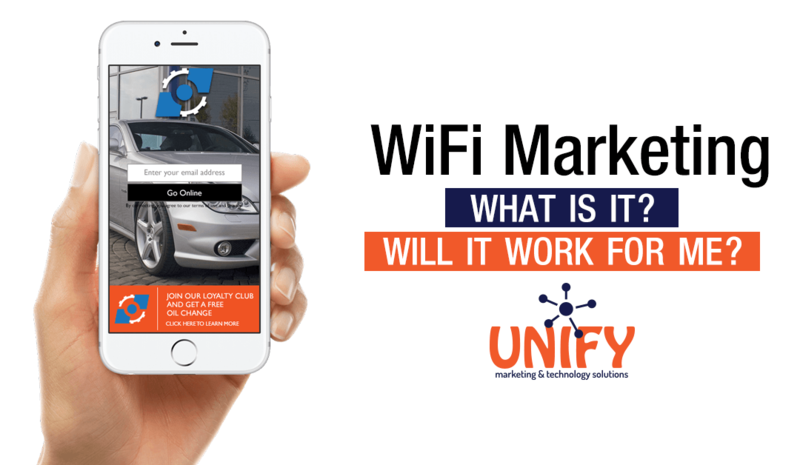 WiFi is a real time marketing platform that can improve customer loyalty. This captive portal deepens customer interactions. Marketing studies (from Cisco, Oracle, and JiWire) have shown that between 86% and 96% of consumers highly value WiFi store availability. This might even be the deciding factor in whether they patronize your store. And moreover, the customers who are using store WiFi hotspots stay longer. When you increase customer interactions, you build trust. Now, let us explain how Wireless Fidelity Marketing works. Merchants set up a WiFi hotspot, which can offer full Internet access, access to only certain websites or their own website. Any mobile device – smartphones, tablets and laptops – can use these connections. Typically, you will display physical signage to promote your free Internet network. Consumers will sign into your in-store WiFi network, reaching a splash page, which lists the terms and conditions. The guest must opt-in to use the free Internet – you can require them to share email addresses, social network connections or other consumer information. This is what makes guest WiFi is beneficial for consumers and merchants. Busy shoppers can multitask while in your store and even receive information on special sales while they are in your business. All in all, their shopping experience is enhanced. This technology allows you to track physical movements or buying patterns. After learning these eCommerce habits, you can improve the efficacy of your ads. Reward your most loyal customers with specially-targeted coupons. Lost customer? Send them a message with a special offer! These are just a couple ways WiFi Marketing can improve your Return on Investment (ROI). WiFi Marketing makes it quick and easy to transform customer data into successful email campaigns. By incentivizing participation, you create good will.